With the proliferation and popularity of mobile devices, it’s important to offer your patrons and students places to plug in and power up. But finding ways to implement much-needed new power sources in your learning space is not always easy. There can be multiple obstacles with placing new outlets, including architectural barriers and safety concerns, such as ADA compliance. 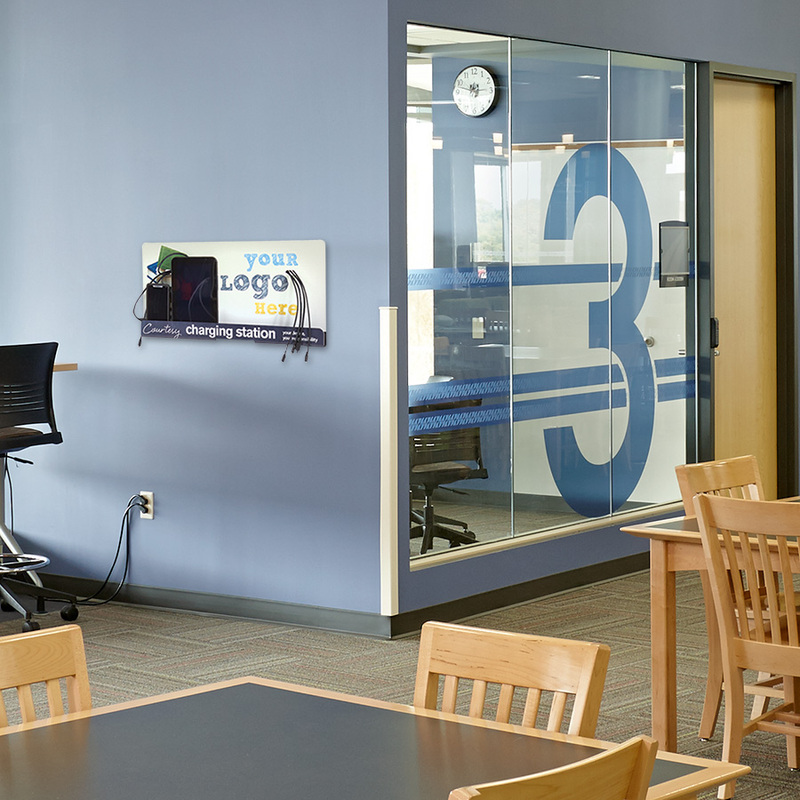 However, even for the toughest learning space design situation, there are convenient, modern options that can help you provide power to your patrons and students when they need it, where they need it — all without taking up a lot of much-needed space. There are a variety of options for mobile charging towers, as well as convenient tabletop options, that allow multiple users to power up at the same time. 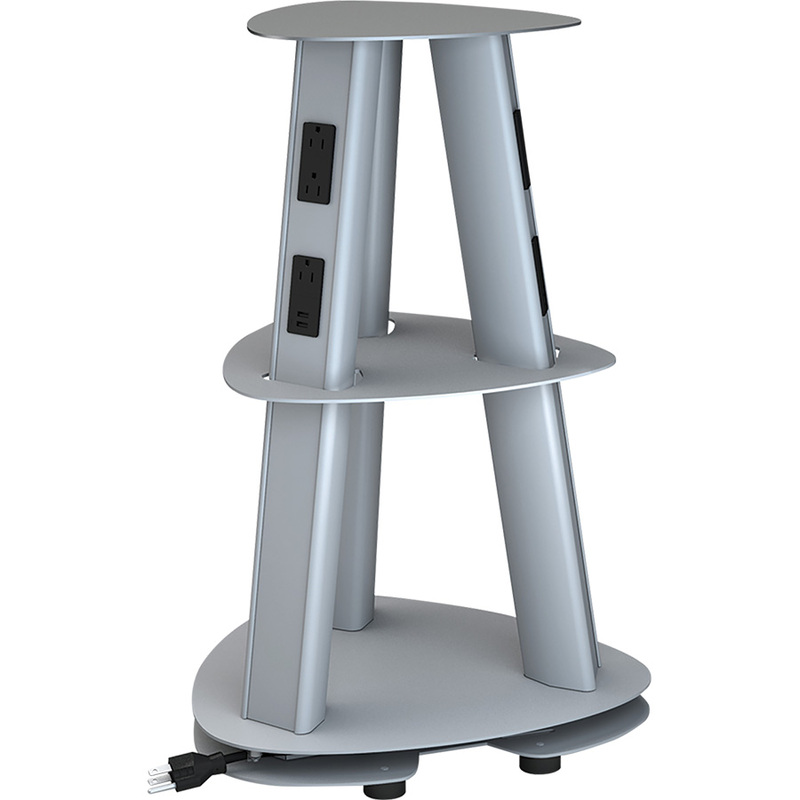 You can establish a strong power hub in any room with the KI Isle Charging Tower. Its durable construction means it resists damage while offering 360-degree charging capabilities from its nine power receptacles and six USB charging ports. 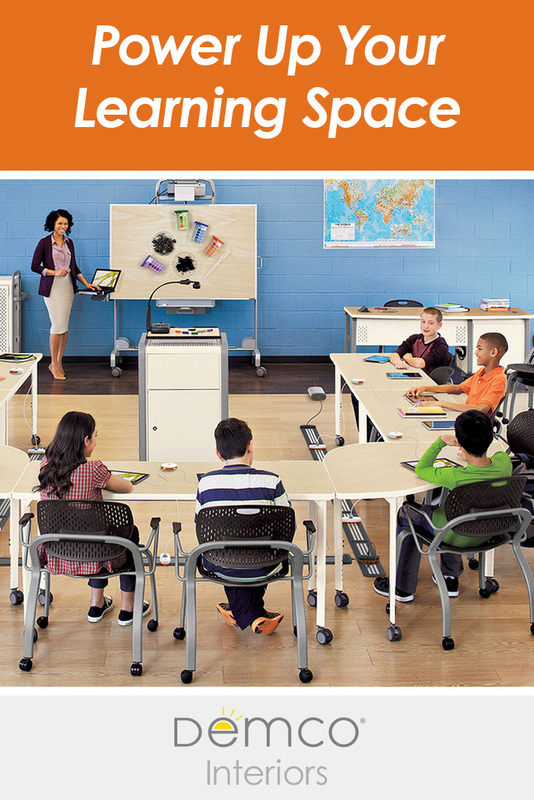 A built-in circuit breaker provides automatic overload protection, and its weight of just 25 pounds makes it easy to move around your learning space. No more sitting on the floor against the wall just to get some juice to your mobile device. The slim design of the Muzo Powerball Standing Charging Unit allows you to place it almost anywhere you need power, without having it take up a large footprint. Have you been wondering where you were going to find the budget for all-new tables with integrated power? The Muzo Powerball desktop version offers a convenient way to retrofit your tables and save both time and money. 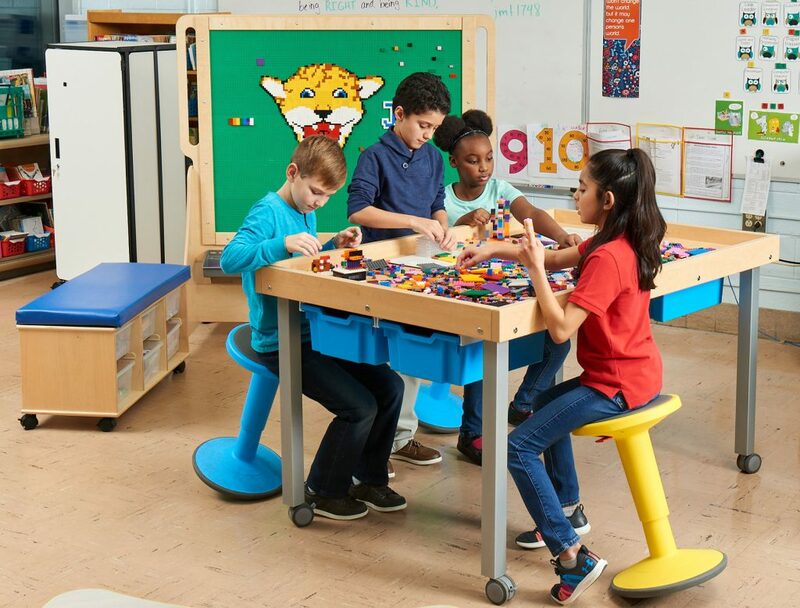 With just a small cutout for the cable, your older tables can bring new life — and more power — to your updated learning space. KwikBoost has a variety of power options, including freestanding towers and wall-mounted displays. However, a host of other options are available as well, from power discs that can travel anywhere people need a quick boost to tables with power hubs built right into the tops. Devices come with multiple cable options to ensure compatibility and the ability to charge several devices at the same time. 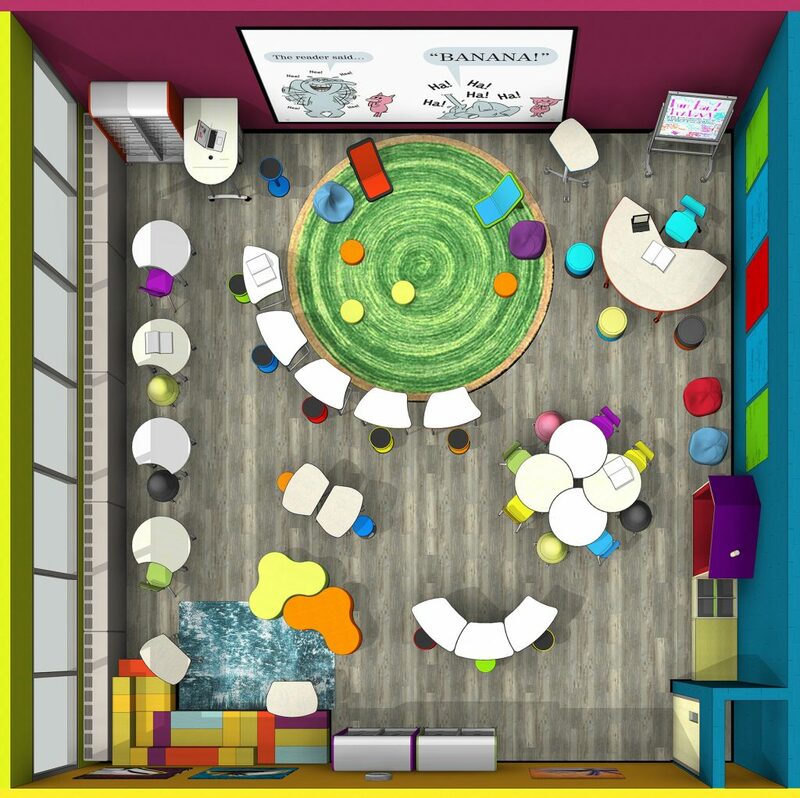 KwikBoost also offers the option to customize the graphics on most of their solutions, allowing you to not only provide access to power, but also to promote your learning space to users. Times they are a-changin’… and so is your library. Whether you’re looking to add seating that doubles as a power source or you need help reimagining an entire area in your library, our specialists can help. Request a consultation to have a Demco specialist help you maximize your space. 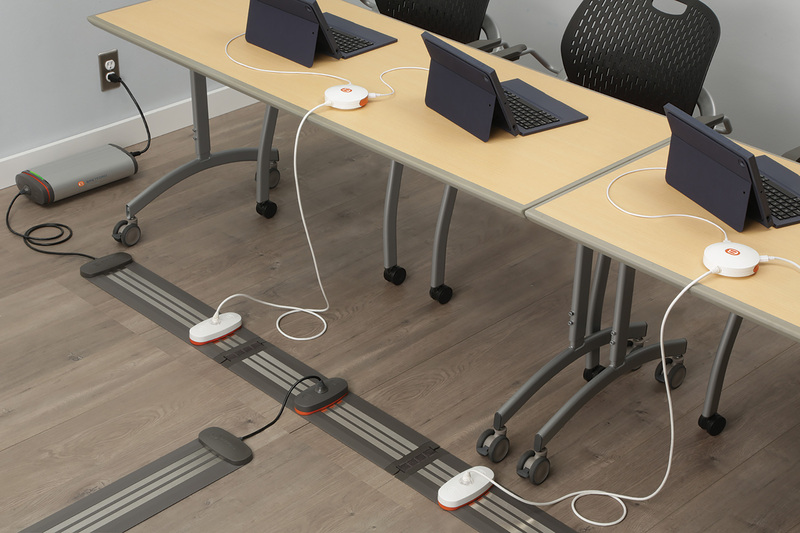 With an ear to the plight of many schools and libraries that can’t afford to run new electrical wiring throughout their buildings, two manufacturers have recently created more cost-effective floor options. 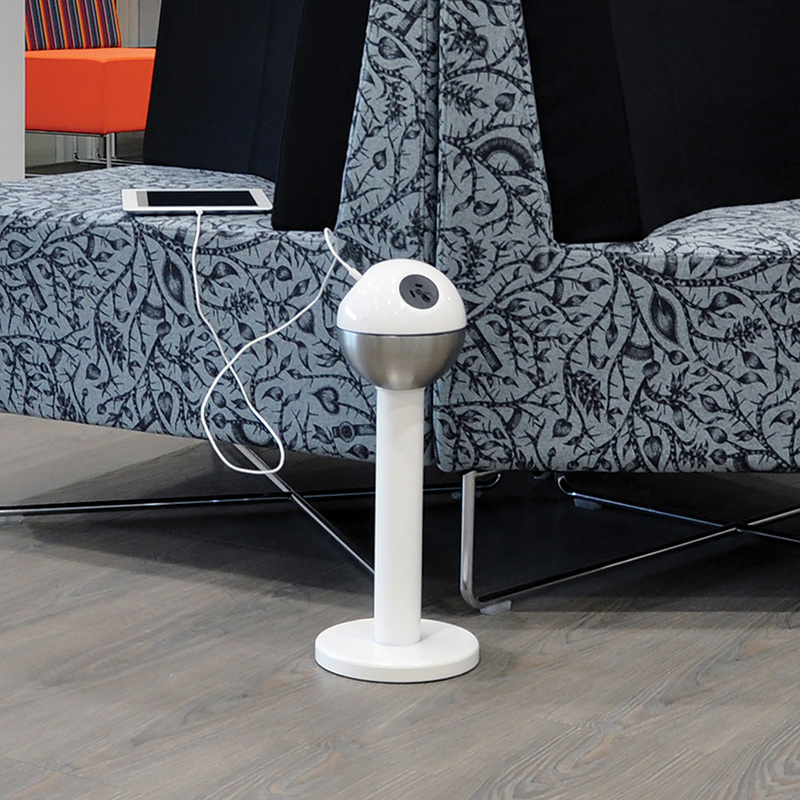 The Juice Mobile Power system allows you to turn a single wall outlet into a powerful, flexible mobile charging solution, providing safe charging for an entire classroom or lounge area. 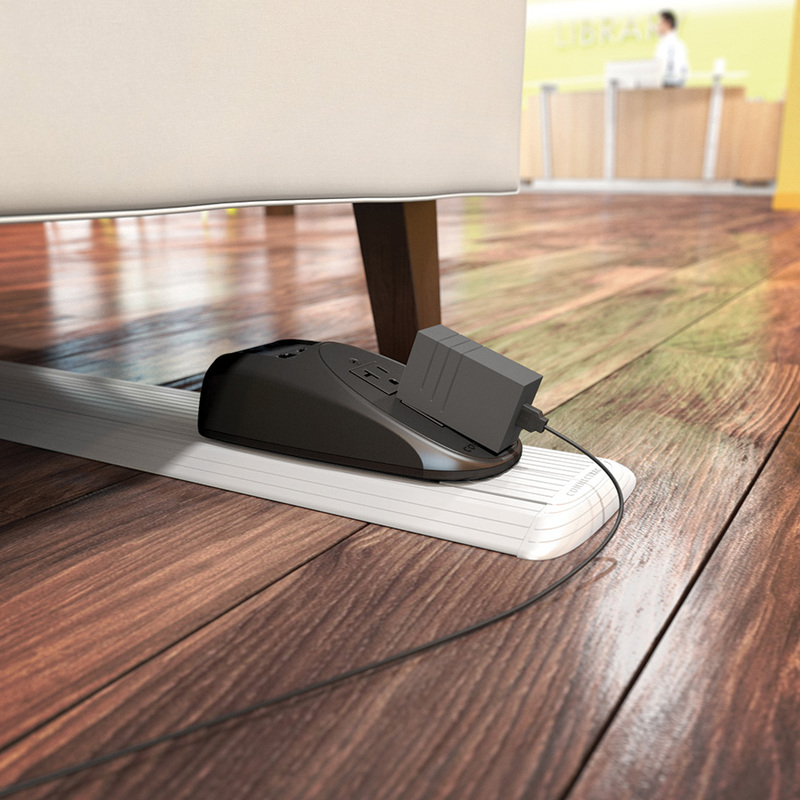 The ultrathin power track can be used anywhere in a room without impacting foot traffic. The built-in, intuitive safety system instantly powers down the track when a foreign object is detected, while a rubberized grip on the bottom keeps the track firmly in place and prevents slipping. The track can be folded and packed up thanks to the handy flexi-hinge, allowing you to take power with you anywhere you need it. Place, plug and go with Connectrac. Each unit features two standard AC outlets and four telecom ports and can be placed directly on top of any floor surface, providing power, telephone and computer connectivity while concealing cords. Connectrac is also ADA compliant, and no drilling or permanent mounting is required. If providing ample power sources to your mobile-device-using patrons and students has caused headaches, try one — or more — of these solutions, and you’ll have a powered-up learning space in no time.